If you find yourself in the District Court as a result of receiving a summons or having been arrested and charged through the charge sheet procedure you will be asked how you plead on your first occasion in Court. If you plead guilty then that is the end of the matter and the Judge (and it will be a Judge alone in the District Court) will sentence you or adjourn the matter to have community service or probation reports prepared before sentencing. If however on your first occasion before the Court you plead not guilty then the matter will be adjourned and your solicitor will ask the Judge for a hearing date and to make an order for him/her to be furnished with the evidence that will be used to try to secure your conviction. This can simply be a précis of the evidence or a Gary Doyle order but whichever order is made your solicitor will be entitled to receive Garda statements, custody records (if any), and videotape evidence(if any). Your case will also be given a date for trial. 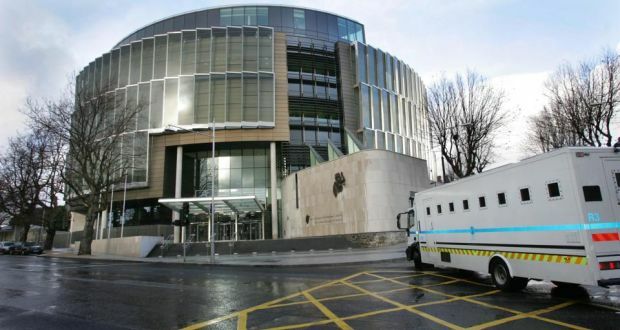 On the day of the trial your case will be called by the Court clerk and the prosecution solicitor or commonly the prosecuting Garda will give his/her evidence of the alleged offence and the circumstances surrounding it. If there is a solicitor involved for the State then he/she will carry out a direct examination of all of the state’s witnesses. Your solicitor will then cross examine the state’s witnesses and attempt to raise doubts about their version of events to raise a reasonable doubt in the mind of the Judge. Your solicitor will then make a submission to the Judge that based on the evidence heard you have no case to answer and ask the Judge to dismiss the case. At this point if the Judge does indeed decide that you have a case to answer having listened to the State’s case then your solicitor will mount your defence by calling any witnesses that will be useful to your case and carry out a direct examination. These witnesses will then be cross examined by the state’s solicitor. Once all witnesses have been heard your Solicitor can make a submission to the Judge that the State has failed to discharge it’s burden of proof (beyond a reasonable doubt) and argue that the case against you has not been made out. It is up to the Judge then to decide to convict or dismiss. If you are convicted then your Solicitor will make a plea in mitigation of sentence on your behalf. The Judge will ask about previous convictions (if any) and may either impose a sentence on the spot or adjourn sentencing pending the receipt of probation or community service reports or indeed any other type of report he decides. The plea in mitigation of sentence is a critical part of the skill of a good solicitor-we will look at it in greater detail in another part of this site as this part of the criminal process is so critically important. (You might be interested in sentencing in criminal law in Ireland). If you find yourself in Court you should consider very strongly instructing a solicitor on your behalf because a good solicitor will more than justify the cost (if you don’t qualify for free legal aid). 2. An appeal to the High Court through the judicial review procedure where you feel your natural or constitutional rights have been infringed or where you feel the court or prosecuting authority has exceeded it’s jurisdiction or has failed to act within the law. 7. Habeas corpus-this applies where the person is alleging that he is being detained without authority, for example in a jail, mental hospital or Garda station. This relief arises out of Article 40.4.2 of the Irish Constitution. Generally, an application for a judicial review must be made within 3 months or 6 months for certiorari. These time limits run from the time when the grounds for the judicial review first arose. An right of appeal arises from the District Court to the Circuit Court and you have 14 days to do so. However you can apply to court for an extension of time within which you can lodge your appeal. It is important to note that if you are appealing against a driving disqualification and you appeal within 14 days, then the disqualification is suspended pending the outcome of the appeal. If you are late, the disqualification cannot be lifted by the District Court. 2. The severity of sentence and conviction. You cannot appeal against the conviction alone. Your appeal to the Circuit Court will be heard by a judge and you can submit new evidence and you can change the original plea submitted in the District Court. If the Circuit Court decides to change your sentence it can only do so within the jurisdiction of the District Court. There is no further right of appeal from the Circuit Court but if the grounds arise you can seek a judicial review in the High Court. You can appeal a decision of the District Court by way of a case stated appeal to the High Court. The purpose of this procedure is to allow you to ask the High Court’s opinion on a point of law or a mixture of law and fact. However you cannot state a case to the High Court on the basis of the facts alone. There is also a consultative case stated procedure which must take place before a decision is made in the District Court-this allows a Judge to send a consultative case stated to the High Court before he makes his decision for clarification on a point of law. You can appeal a decision of the Circuit Court to the Court of Criminal Appeal and this must be done on the basis of the conduct of the trial in the Circuit Court or on a point of law. Unlike the District Court appeal avenue, you can appeal a conviction only to the Court of Criminal Appeal.